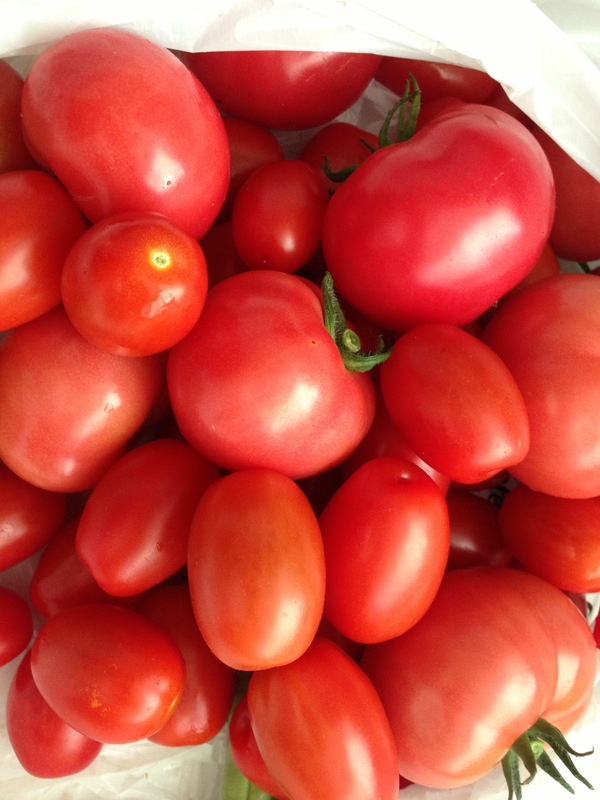 I kicked off the weekend by spending some QT in my veggie garden, picking tomatoes. Homegrown is sooo delish! 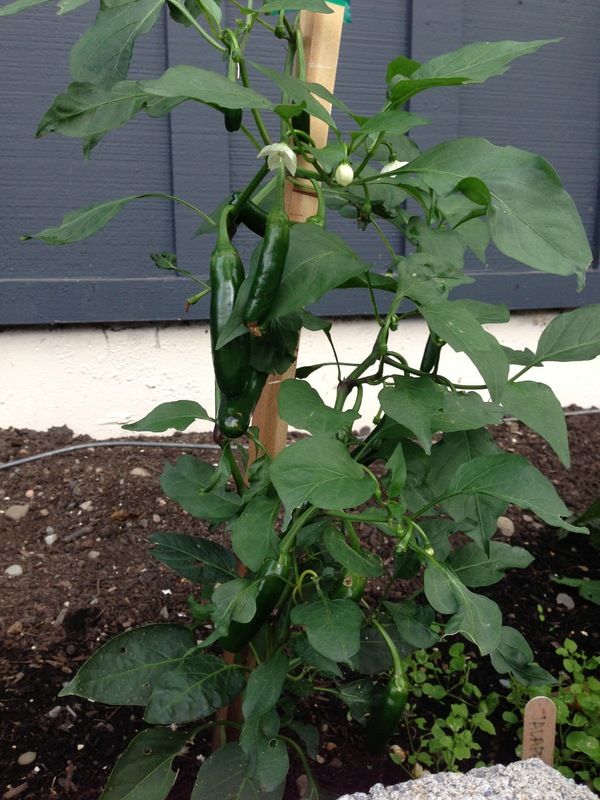 My jalapenos are finally growing! I can’t wait to use them in some salsa. My tomato haul was too large not to share. 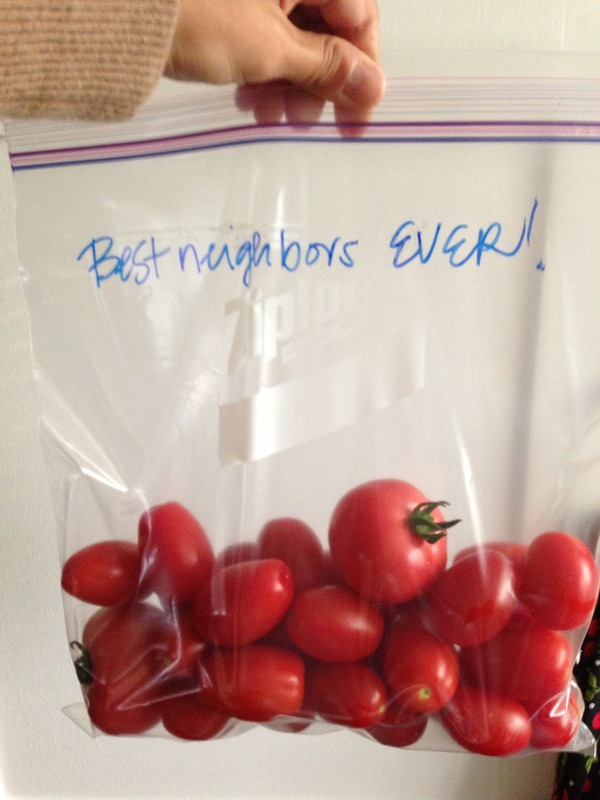 I do love my neighbors, they truly are the best. 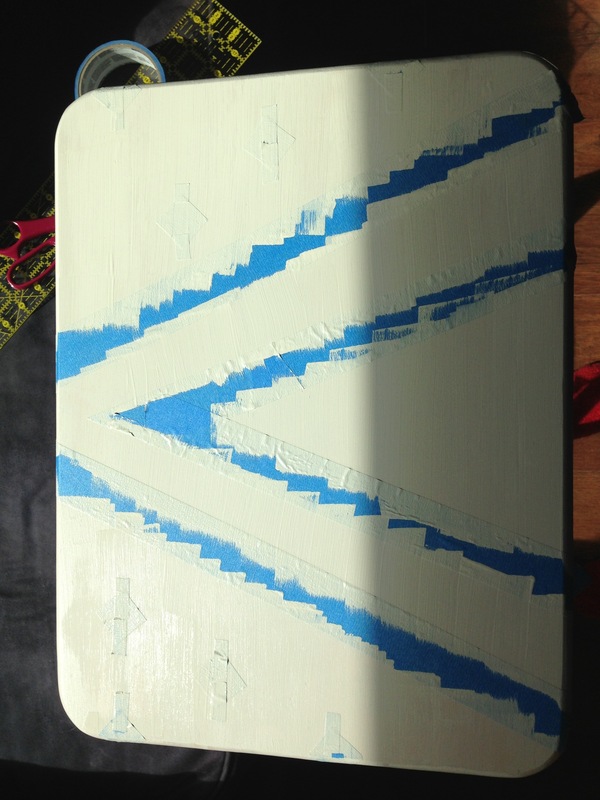 You may remember the tray table makeover that I’ve been working on…well, this is attempt one…fail. Fear not, I’ll be back with attempt two soon. 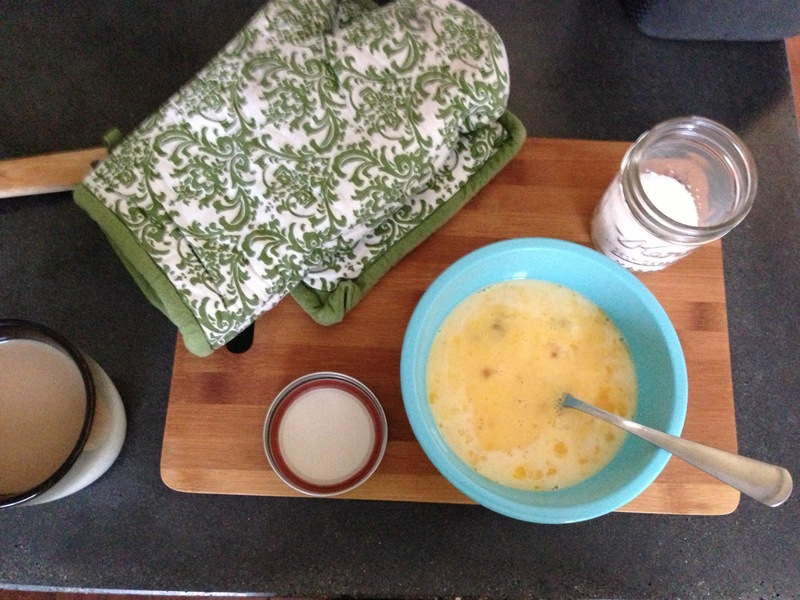 This was the start of a yummy brunch. 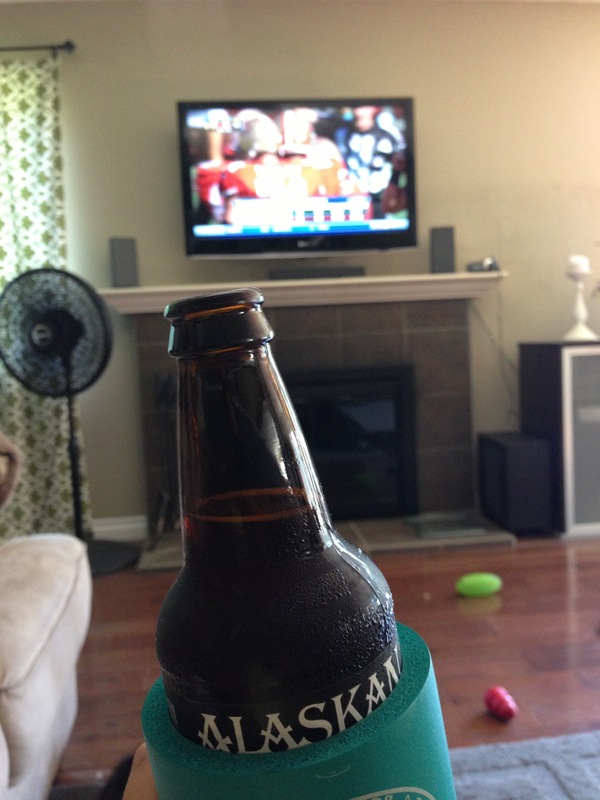 A Sunday with football and beer is pure magic. 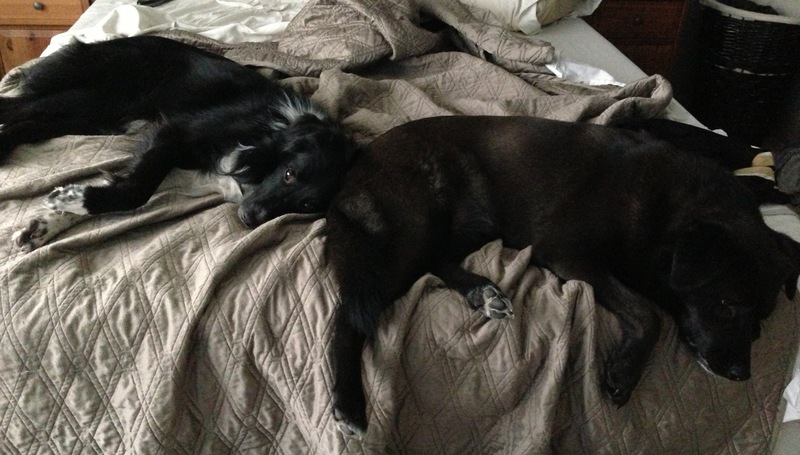 Even my pups enjoyed a much needed, lazy weekend. Happy Monday everyone! I hope you have an amazing week. Wish me luck on the tray table, I’ll need it.